Andreina Fenech Farrugia, suspended on Tuesday amid bribery allegations, was promoted to fisheries director general on orders issued by the Office of the Prime Minister soon after Labour’s return to power in 2013, Times of Malta has learnt. The promotion was made despite having been transferred to another government entity from her post of fisheries director two years earlier. 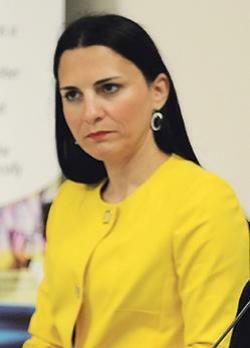 At the time she was promoted, the European Commission had indicated to the new Labour administration that the sector “was in a very bad place” when Dr Fenech Farrugia was director, civil service sources said. “Until 2011, the local fisheries sector was looked upon very badly by Brussels and the then Nationalist administration had to act by removing her and appoint a new director to put things in place,” the sources added. Her promotion “was inexplicable from an administrative point of view”, they remarked. Minutes of a meeting held in Brussels between Malta’s Permanent Representative, Marlene Bonnici, and Fisheries Director General Lowri Evans just 10 days after Labour’s success at the polls depicted a complete change in the industry after Dr Fenech Farrugia’s departure. “Lowri Evans, Director General Mare, opened the discussion by noting that when compared to two years ago the situation of the Maltese fishery is ‘completely transformed’,” the minutes state. Dr Fenech Farrugia had been transferred to a managerial post in the competition authority in 2011. Joseph Caruana, a former canvasser of Education Minister Evarist Bartolo, later promoted to permanent secretary, had succeeded her. The Times of Malta is informed that her transfer was related to her “underperformance” in her job at the Fisheries Department. “Brussels was sending report after report of how, despite agreements to implement certain measures in the fishing industry, things never really changed and no tangible results were being achieved. “This was why the government had felt that Dr Fenech Farrugia was to be given another role and removed from fisheries,” the sources recalled. Mr Caruana still holds the role of permanent secretary but was moved to the Finance Ministry after the last election. This followed his brother’s (Edward) arraignment on charges of corruption related to the government’s school building agency, which falls under the watch of the Education Minister.